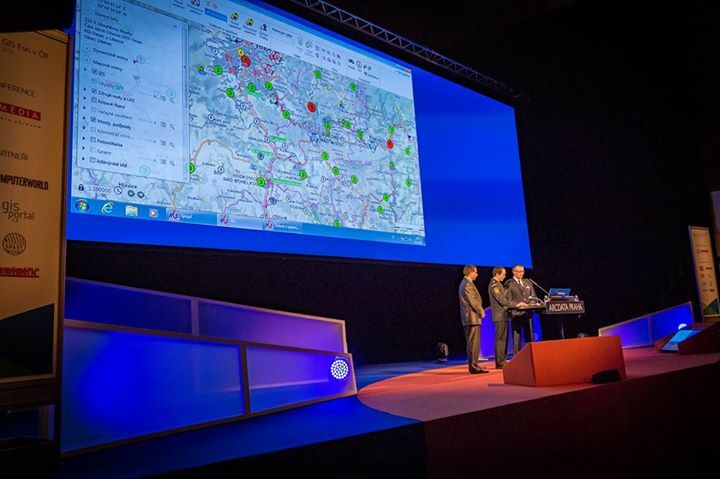 T-MAPY at GIS Esri CR Conference - T-MAPY spol. s r.o. The 24th GIS Esri CR Conference, hosted by Arcdata (Esri‘s official distributor in the Czech Republic) was held on November 4-5 in Prague. A lot of intriguing information from Esri company as well as its end-users was to be heard. Traditionally, T-MAPY had an active presence at the conference. Our company stall was available for over 850 delegates from 300+ organizations who attended the conference and our products were mentioned in several presentations. In the opening session Col. Ludek Prudil spoke about how GIS is being employed in Fire Rescue Service of the Czech Republic operations management. The system which helps save lives every day is based on a T-MAPY product called IZS operator. 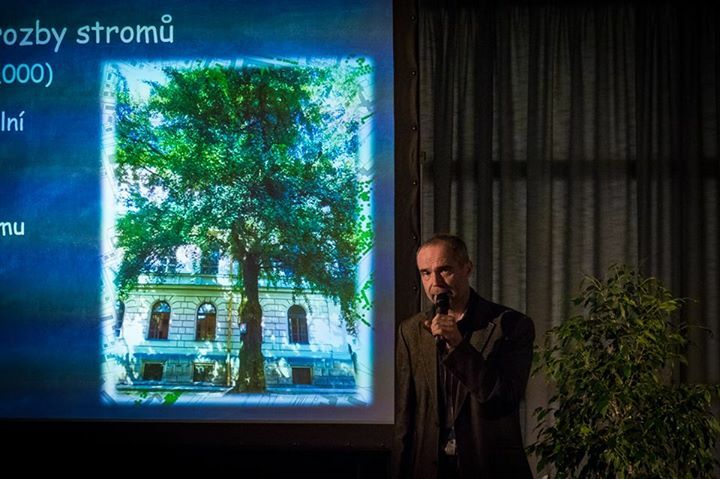 The presentation Digital map of Brno, given on Thursday, attracted a large turnout and few seats remained empty. Lenka Hrckova a Dana Glosova of Brno City Hall together with T-MAPY’s Petr Sebesta gave a presentation on a modern system of spatial data management and maintenance utilized by Brno City. 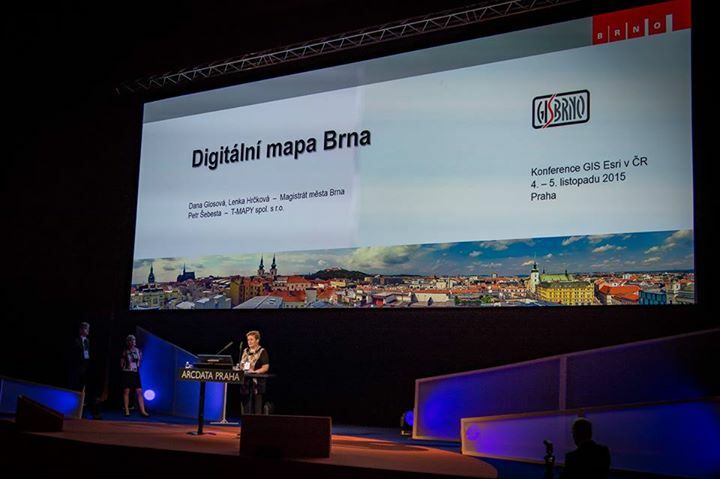 The poster Digital Map of Brno City – path to an integrated system – came second in the poster contest. Jan Kamenicky of T-MAPY made a presentation on GIS analytical skills when assessing risk in public places where trees or their parts may fall and potentially cause harm to passers-by. Our solutions were mentioned again by Mr Rychtarik in a presentation on implementing river information services in the Czech Republic. For more pictures, visit conference's Facebook page.